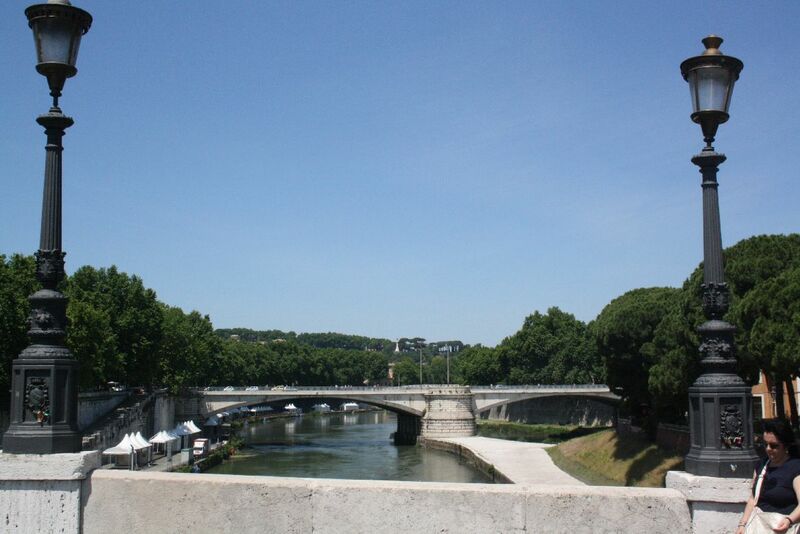 See the previous post for location map. 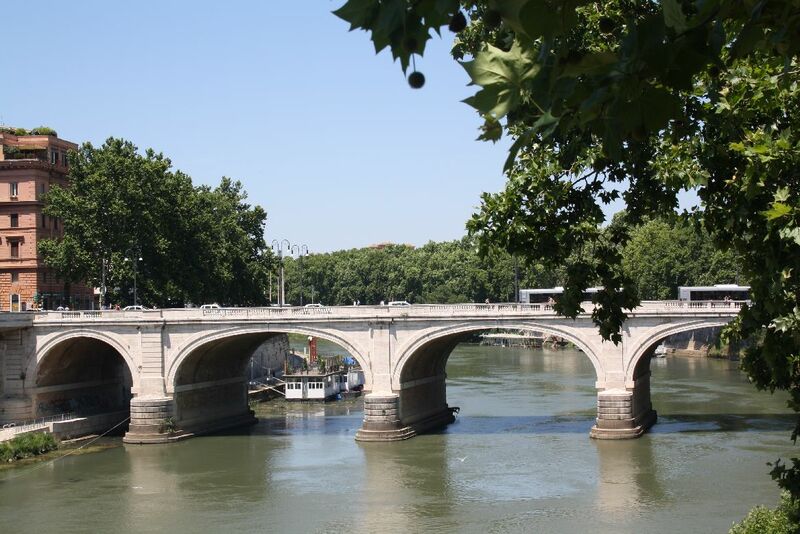 Following the construction of the Ponte Sisto in 1473 no more new bridges were built over the Tiber in Rome until 1885, then six were built (or at least started) in six years, seven if you include the reconstruction of the Ponte Cestio. 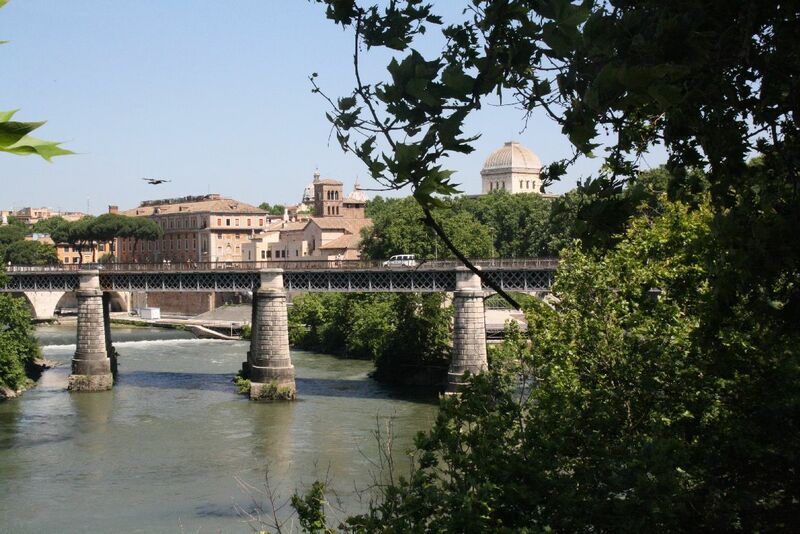 Working from East to West, the first is the Ponte Palatino (2), constructed in 1886, it is the only steel girder bridge in this collection. 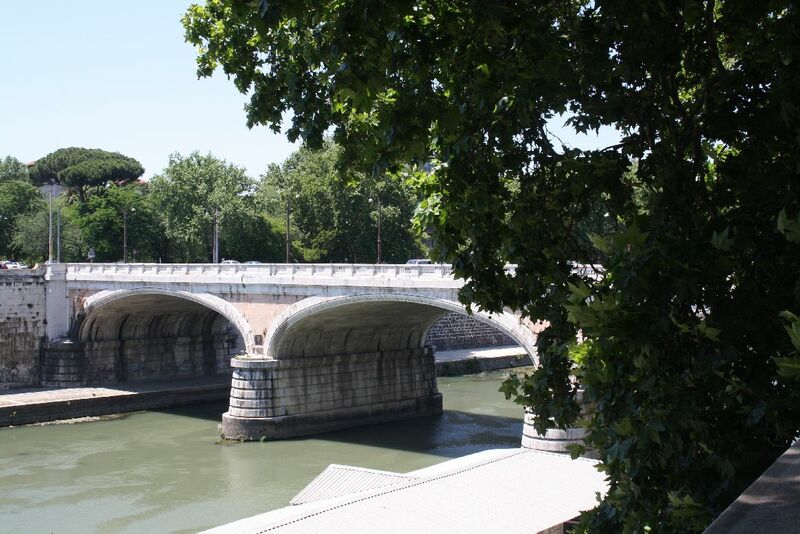 It is also known as the “English Bridge” because, according to the Google translation of the Italian Wikipedia page, “organization of motor traffic in accordance reversed, as is the custom in the United Kingdom”. 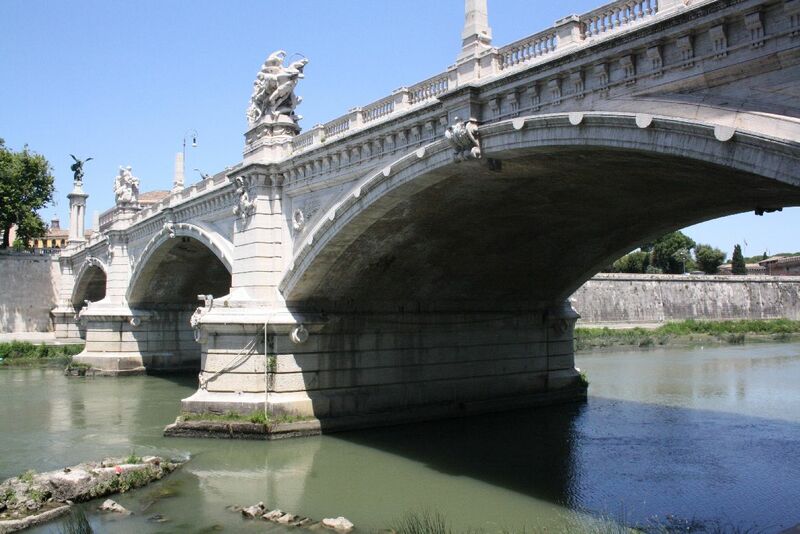 The Ponte Garibaldi (6) was built between 1884 and 1886. 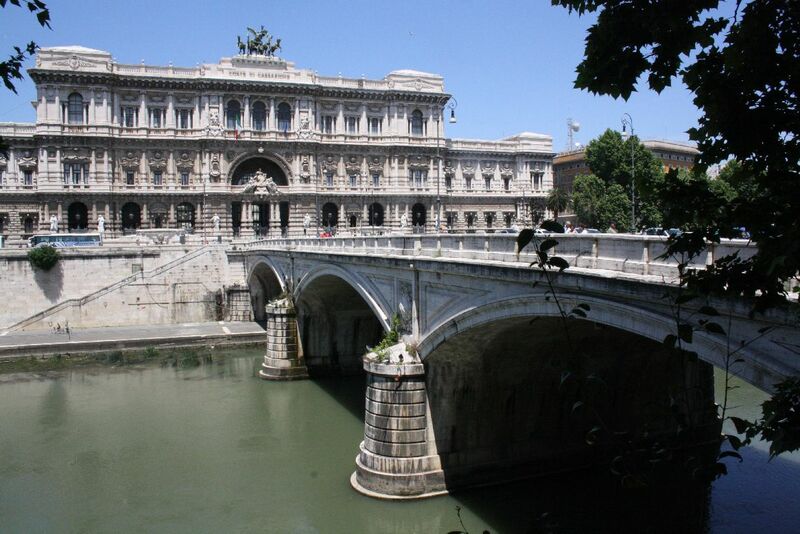 The translation of the Italian Wikipedia site says it has 2 metal spans, faced with travertine. If it does have steel beams, they are well hidden. 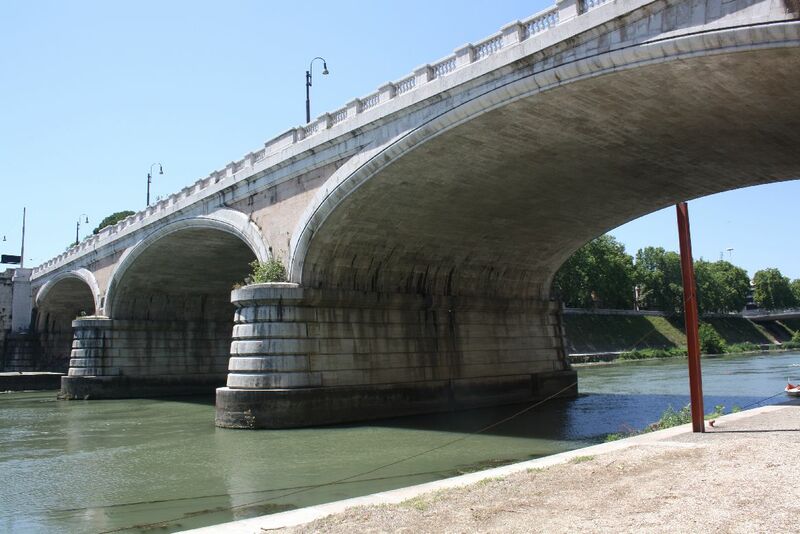 The Ponte Vittoria Emanuele II (10) was designed in 1886, but not completed until 1911. 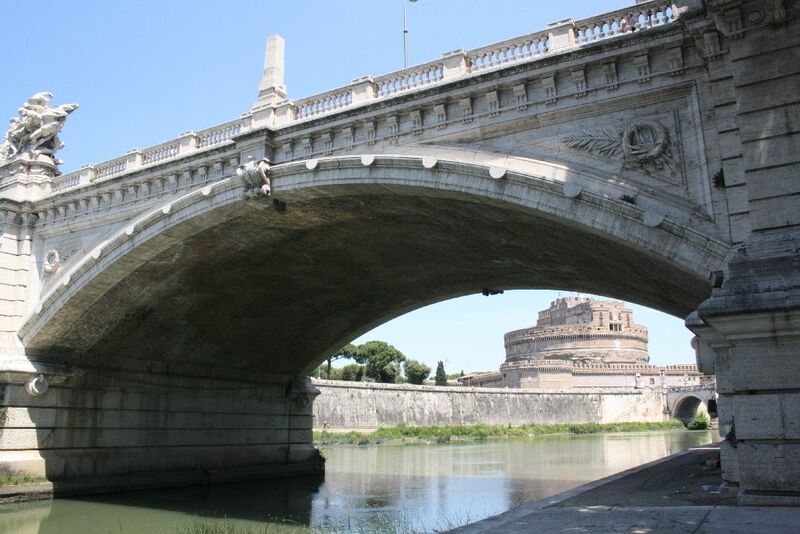 A three span segmental arch structure, is crowned by massive travertine scuptures over each pier. 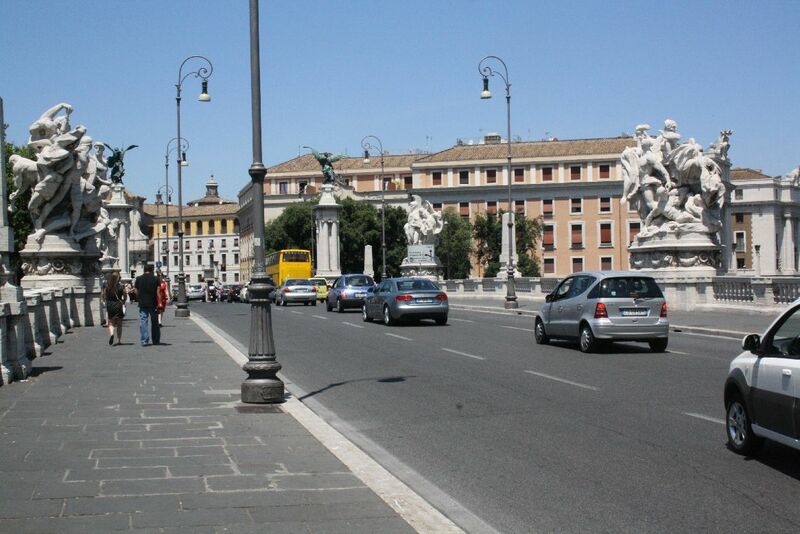 The Ponte Umberto I (12) is a three span bridge and was constructed from 1885 to 1895.. 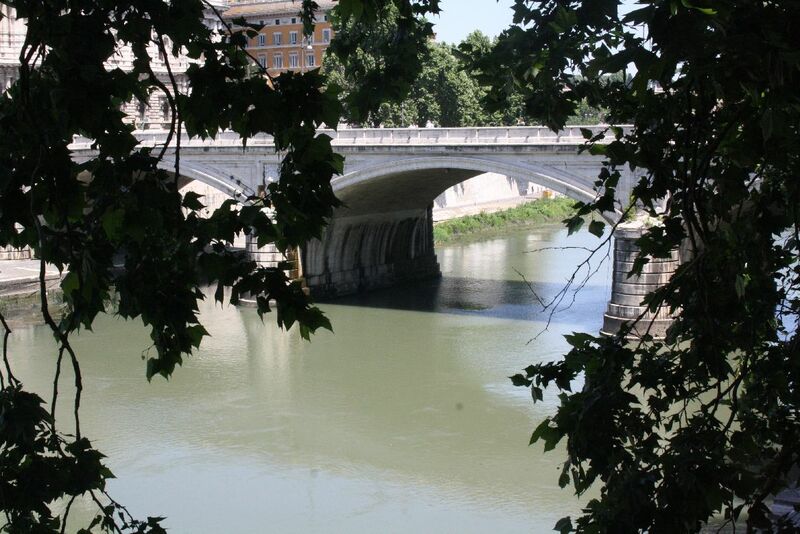 This view clearly shows the transition from a segmental arch at the facing to a full semi-ellipse in the body of the structure. 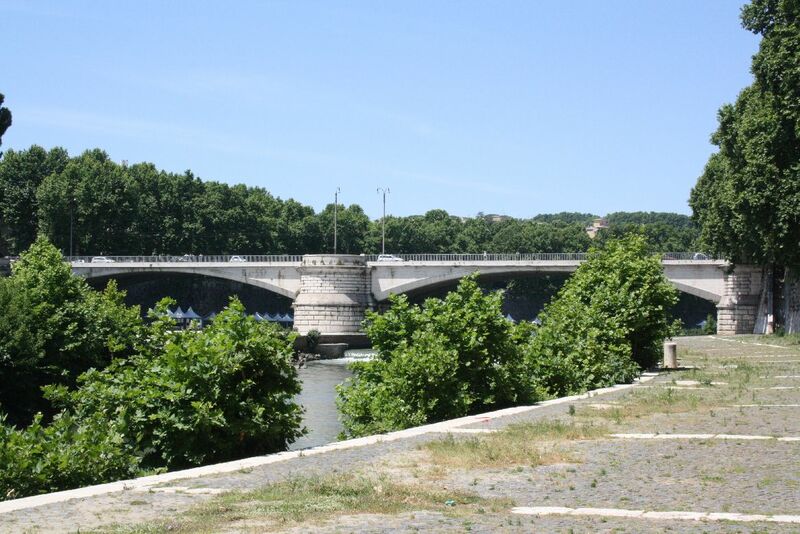 The Ponte Cavour (13) is a five span bridge, constructed between 1896 and 1901. 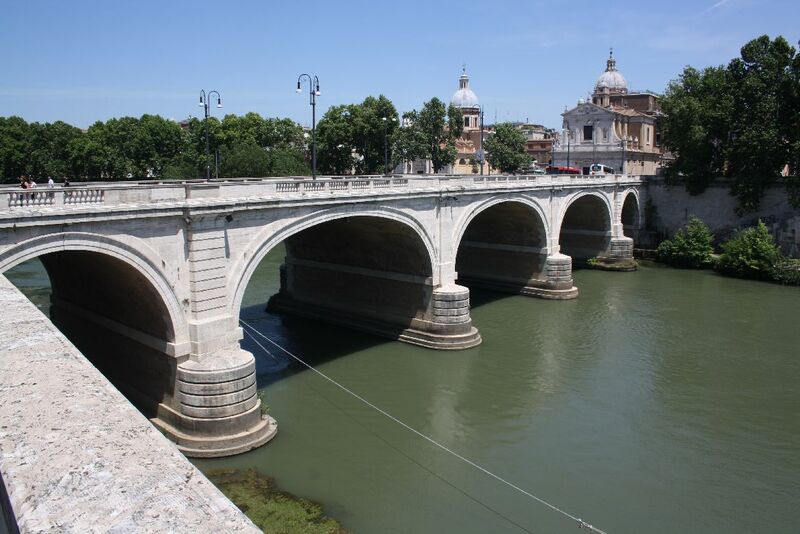 It is similar in appearance to the second century Ponte San Angelo (although lacking the angels). 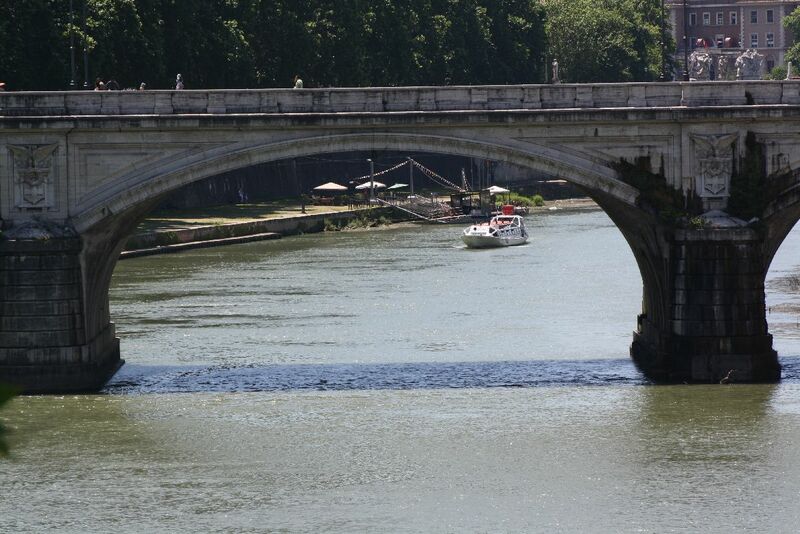 Finally, the Ponte Margherita (14), constructed between 1886 and 1891. 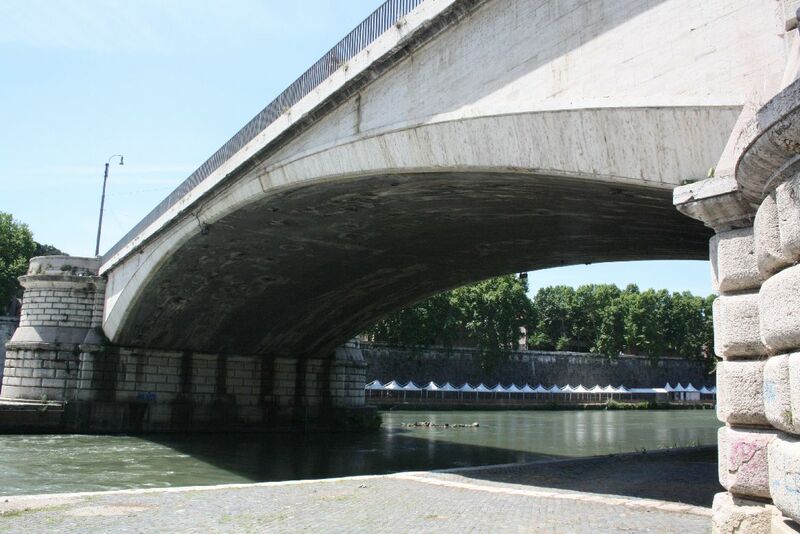 Another three span structure, with elliptical spans. 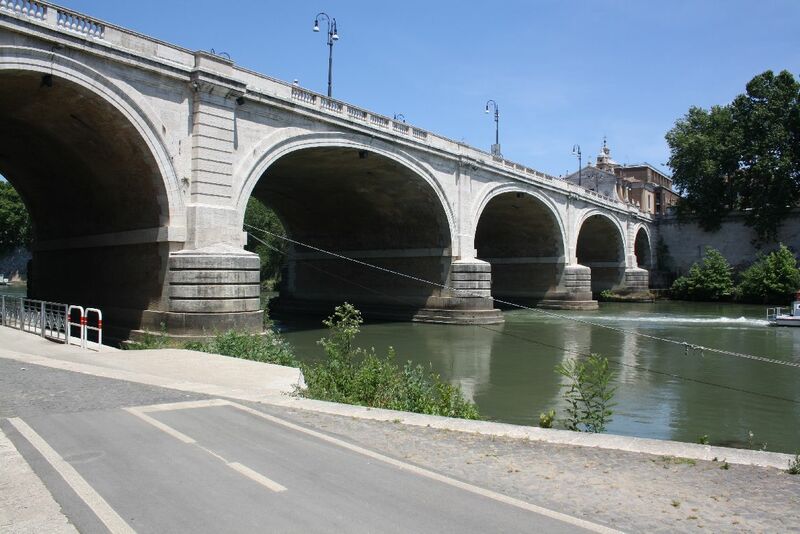 This entry was posted in Arch structures, Historic Bridges, Newton and tagged Arch bridges, historic bridge, roman bridges. Bookmark the permalink.